Although not touted as one of Africa’s traditional powerhouse economies, Rwanda is quickly developing a reputation as an underrated and enticing emerging market on the continent. In addition to boasting strong economic numbers, there are some less obvious reasons for the country’s positive outlook. In 2009, I moved to Rwanda with two of my best friends to establish Karisimbi Partners. We felt our training as managers in corporate America would have more value and meaning when directed to business managers in a poor country emerging from conflict. People told us it couldn’t be done; it would likely fail. Regardless, we sold our houses, cars, put the rest of our stuff in storage, and bought 13 one-way tickets to move our three families to Kigali. We lived in Rwanda for four years, and our firm has continued to grow. We look back on the decision to start this adventure as perhaps the best career and life decision we ever made. Both of these associations possess an element of truth, but anyone who has actually been to Rwanda in recent years will know such descriptions bear little resemblance to the real Rwanda. It was 23 years ago that Rwanda was torn apart by genocide, and today a very different narrative presents Rwanda as one of the most unified and hopeful countries on the continent. Furthermore, Rwanda does not fit the tragic stereotype often attributed to African countries. First, GDP growth has been well above that of developed countries at about 8% annually for many years, and poverty rates are dropping quickly. Second, there is a “zero tolerance” policy against corruption, and bribes are virtually nonexistent. And finally, Rwanda is a verdant inland country of hills, volcanoes, and one of the largest rainforests in Africa, so images of scorched deserts also fail to capture the true Rwanda. Rwanda has become something of a case study in international development, exceeding the growth expectations of experts and surpassing that of similar landlocked countries in the region. Rwanda gets some of the highest marks in Africa for safety, stability, rule of law, low corruption, context for doing business, competitiveness, ICT infrastructure, cleanliness, environmental standards, achievement of MDG objectives, female political representation, and a host of other progressive attributes. Before even visiting Rwanda, one can read third-party reports that validate such claims. Self-Determined Vision. Rwanda is a small country that dreams big. Rwanda’s Vision 2020 plan contains a fierce determination to meet self-imposed ambitions. Many post-conflict countries lack a recovery plan that has been crafted and implemented by the country’s own people. Not only does this foster an unhealthy reliance on foreign stakeholders, it typically means aid and development efforts are disjointed and short-lived because they do not support a unified local strategy. Progress in Rwanda is more coordinated and effective, in part because it serves Rwanda’s plans for a brighter future. Grounded Ambition. Rwanda has tapped the deep components of a rich culture and tradition in order to heal and embrace the future. Rwanda is a “country in a hurry” racing toward regional and world-class leadership in exciting fashion, but she has not forgotten where she has come from or the unique cultural values that continue to unify the country and equip her for the journey. Hope. You can see it in the faces of children and the seemingly audacious plans of the country’s leaders. The average Rwandan feels tomorrow will be better than today, and this is a powerful ingredient in nation building. Hope requires optimism. Hopes that are realized fuel more of the same. Hope is contagious. Hope is Rwanda’s greatest (un)natural resource. 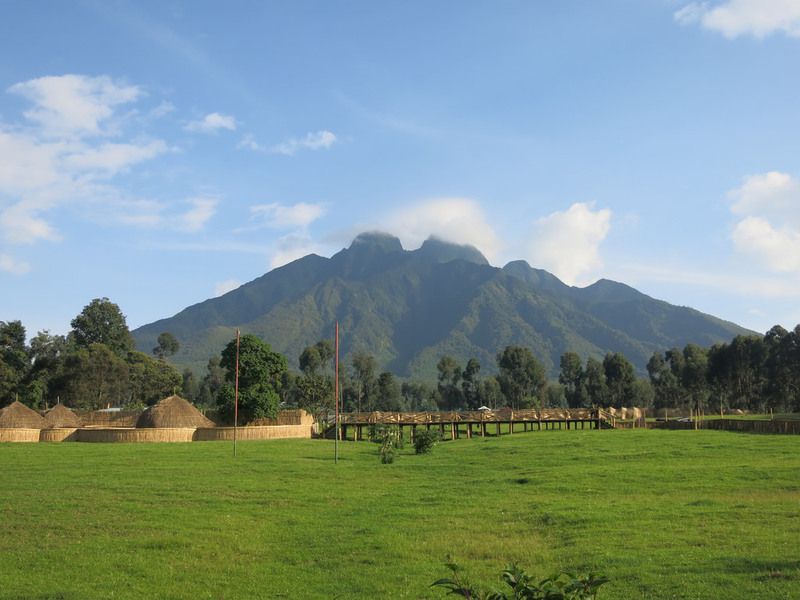 Because Rwanda is small, has a unified cultural heritage, and contains fewer distinct languages, tribes, and religious divisions than many neighboring countries, many foreigners find it easier to understand and navigate this country. Emerging markets require a risk tolerance, patience, and comfort with the uncomfortable most Westerners seek to avoid. However, for pioneers willing to engage such markets, you will find the challenges significantly mitigated by Rwanda’s unique vision, grounded ambition, and hope. Want to talk to Carter? Schedule a consultation. Featured image was taken by Kyle Taylor in Rwanda.